Vaccination is a way of preparing the body to fight off infection. The reason we need to vaccinate is because some diseases are so severe that the body does not have time to develop antibodies before the disease kills the animal. An example is parvovirus which can kill dogs before they can respond to a vaccination. Young animals must be vaccinated before they encounter a disease. Puppies and kittens receive a series of vaccines at 6, 12 and 16 weeks. 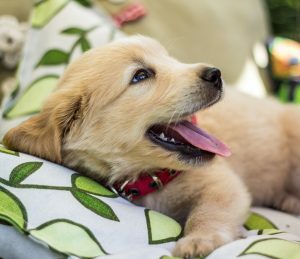 While some vets stop vaccinations early, research has proven more pets are protected by giving a vaccination at 14-16 weeks. The first annual vaccine after the puppy or kitten series is also critical to maximizing immunity. Our adult core vaccines (C3) last three years. If you have a new puppy or kitten book in for an initial health check and vaccination today.